Many domestic violence cases are the result of simple misunderstandings or disagreements that quickly get out of hand. If someone in the home is shoved or threatened or you start throwing things or restrain someone and the authorities become involved, you could be arrested on the spot and face serious criminal charges. To set up a consultation regarding your case, contact Hoelscher Gebbia Cepeda, PLLC, in San Antonio today. At Hoelscher Gebbia Cepeda, PLLC, we don't just look to defend against a protective order or other criminal charges; we want to help families address the root issues that result in domestic violence. By getting all the facts from both parties, offering referrals to therapists, counselors and other family services, we can work together to pinpoint the deeper issues and take steps to ensure violent acts are not repeated. Although there are serious incidents of domestic violence, a majority of these types of cases involve false or exaggerated accusations. One party may accuse another of violent behavior to gain a favorable position during divorce proceedings or a child custody dispute. No matter if your incident involved harmful physical contact, emotional or verbal abuse or is completely unfounded and you have been falsely accused, it's important to secure representation from an attorney to ensure you understand the implications of protective orders and domestic violence charges. Family violence cases (which include people who are blood relatives, married, dating or no longer in a relationship) have consequences beyond other criminal cases. These collateral consequences can occur even if you are not convicted of Assault-Family Violence and can affect all aspects of your life: family, career and freedom. Prosecutors will routinely obtain Emergency Protective Orders (EPOs) prior to filing formal charges related to domestic violence. These orders are granted without advance notice to the accused. Protective Orders generally forbid a defendant from returning home, having contact with the alleged victim, the victim's family and workplace, and sometimes the defendant's own children. Further, a person accused of family violence may find themselves subject to ongoing litigation during their criminal case as prosecutors seek to extend Emergency Protective Orders into Permanent Protective Orders ("PPOs"), which are in force for up to two years. The Department of Family and Protective Services ("DFPS"), often called Child Protective Services ("CPS"), may get involved, especially if children were present at the time of the incident. CPS can open a legal case seeking to terminate parental rights. Those CPS cases can last up to 18 months. If a divorce or child custody case is happening, then a family violence case can be used to deny child custody and limit visitation rights. A conviction for Assault-Family Violence can also cause you to permanently lose your right to possess a firearm. If you are in the military, you may be discharged. Law enforcement personnel may be reassigned or fired and lose TCOLE certification. This can happen even if a conviction is avoided, however, if an affirmative finding of family violence occurs, either in civil or criminal court. A Family Violence conviction may endanger many professional licenses or certifications. Skilled tradesmen will find it nearly impossible to be bonded. It will appear in your criminal record and will show up in pre-employment and pre-leasing background checks. Many people convicted of family violence have difficulty renting housing because family violence allows a lease to be broken in Texas. Since the federal government considers deferred adjudication as a conviction, even though Texas does not, many accused people are caught off guard by these collateral consequences. However, even at the Texas level many defendants are surprised to learn they have an affirmative finding of Family Violence without being convicted. Worse, convictions will cause future accusations of Family Violence to be treated as felonies and prevent an Order of Non-Disclosure, despite successful completion of a future deferred adjudication. Non-citizens, including legal resident aliens, are especially vulnerable to accusations of family violence. Those convicted of family violence face a range of consequences, including being denied a green card, deportation and denial of re-entry into the United States. Of course, in some cases, there is a significant risk of jail or prison time for individuals accused of Family Violence. Prior to a trial, judges tend to impose greater restrictions on bonds in Family Violence cases. The bond amounts required tend to be higher and many defendants are required to be monitored at their own expense. For example, you may be court-ordered to pay for a GPS ankle monitor and/or be confined to your residence. At sentencing, defendants may have to endure a Victim Impact Statement and face stricter sentencing for a crime of violence. Violence in the home can result in severe emotional trauma for children. In some cases, children may be asked to give statements and relive the details of a frightening experience. As your lawyers, we do everything in our power to mitigate the impact on all parties. 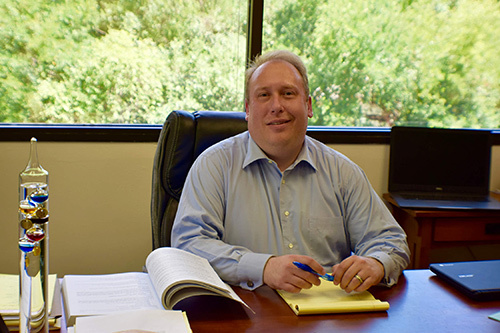 With our years of experience and commitment to protecting our clients and their children, we can help you resolve your legal matter with a strong defense and start taking steps toward building a safer home. 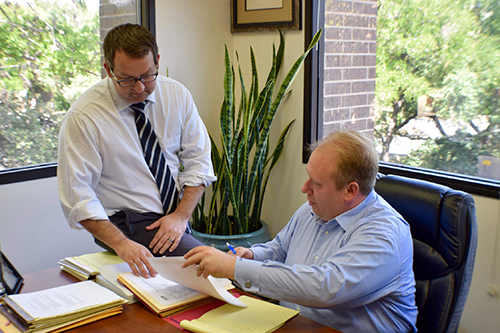 If you have been accused of domestic violence in San Antonio, Texas, or elsewhere throughout the region, you can rely on the unwavering commitment of our criminal defense attorneys. Schedule an initial consultation by calling 210-222-9132 or complete our online contact form.